Rhythm of Structure is a collection of mathematical art exhibitions, writing projects and films, in collaboration with hundreds of artists, writers and performers organized by John Sims to bring the connection of mathematics in the arts to a wider community. 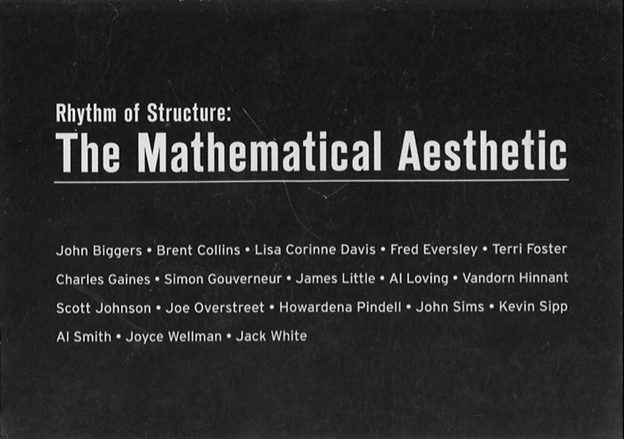 This sequence of exhibitions started with MathArt in Harlem at the Fire Patrol #5 Gallery in 2003 and Mathematical Aesthetic at the Wilmer Jennings Gallery in New York City in 2004, leading to the one-year, nine-part exhibition Rhythm of Structure: Mathematics, Art and Poetic Reflection at the Bowery Poetry Club in NYC in 2009, which traveled later in 2011 on to Ringling College of Art and Design in Sarasota, FL, and Antioch College in Yellow Springs, OH. 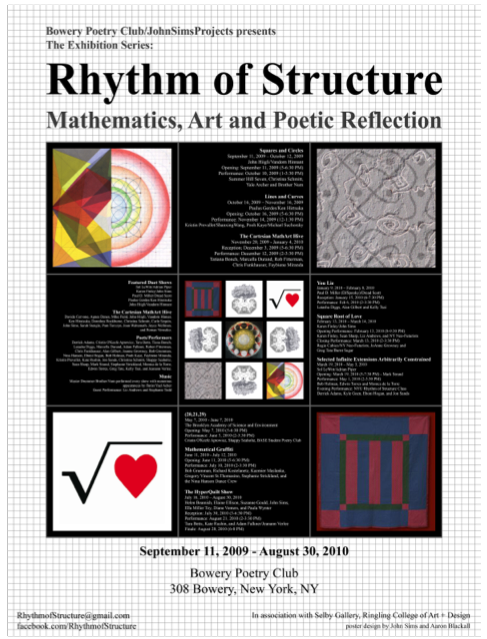 Rhythm of Structure: Mathematics, Art and Poetic Reflection (2009/10/11), a series of nine one-month shows, was introduced at the Bowery Poetry Club in New York City in 2009/10. The shows focused on the visual language of mathematical ideas and processes, exploring a spectrum of themes from geometric landscapes to the socio-political. To stimulate a dialogue around the use of structure and to promote reflection via the poetic lens, poets and selected musicians were invited to respond to the work, forming the basis of a documentary film and catalog. The year-long show involved over 40 artists and 30 poets/performers. Featured Artists includes: Sol LeWitt, Adrian Piper, Karen Finley, Paul D. Miller aka DJ Spooky, Dread Scott, John Sims, John Hiigli, Vandorn Hinnant, Paulus Gerdes and Ken Hiratsuka. Cartesian Hive Artists: Davide Cervone, Agnes Denes, Mike Field, Susan Happersett, John Hiigli, Vandorn Hinnant, Ken Hiratsuka, Dorothea Rockburne, Christina Schmitt, Carlo Sequin, John Sims, Sarah Stengle, Pam Turczyn, Joyce Wellman and Roman Verostko. HyperQuilt Artists: Helen Beamish, Elaine Ellison, Suzanne Gould, John Sims, Ella Toy, Diana Venters and Paula Wynter. Also featured were students from the Brooklyn Academy of Science and Environment with the project (20, 21, 29), and the from the NYU-Tisch School Rhythm of Structure Class with the MathArtPoem. Participating Poets/Performers: Cristin O’Keefe Aptowicz, Tara Betts, Tiana Bonch, Regio Cabico, Chang, Latasha Diggs, Marcella Durand, Adam Falkner, Robert Fitterman, Chris Funkhauser, Alan Gilbert, JoAnne Growney, Bob Grumman, Eboni Hogan, Bob Holman, Pooh Kaye, Richard Kostelanetz, Kaz Maslanka, Faybiene Miranda, Kristin Prevallet, Kate Rushin, Jon Sands, Christina Schmitt, Summer Hill Seven, Shappy Seaholtz, Gregory Vincent St. Thomasino, Mark Strand, Stephanie Strickland, Greg Tate, Monica de la Torre, Edwin Torres, Kelly Tsai, Jeanann Verlee, Shanxing Wang, Yael Acher “KAT” Modiano and Brother Num. All nine shows together as one exhibition traveled in 2011 both to Selby Gallery at Ringling College of Art and Design and Herndon Gallery at Antioch College, featuring an exhibition catalog and feature-length documentary film. 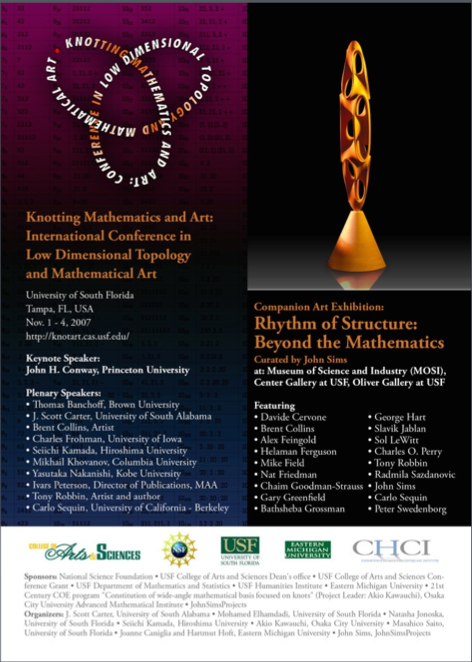 Rhythm of Structure: Beyond the Mathematics, Museum of Science and Industry (MOSI), Center Gallery at USF, and Oliver Gallery at USF in conjunction with Knotting Mathematics and Arts: International Conference in Low Dimensional Topology and Mathematical Art at University of South Florida (Nov.1-4, 2007). Featured artists: Davide Cervone, Brent Collins, Alex Feingold, Helaman Ferguson, Mike Field, Nat Friedman, Chaim Goodman-Strauss, Gary Greenfield, Bathsheba Grossman, George Hart, Slavik Jablan, Sol Lewitt, Charles O. Perry, Tony Robbin, Radmilla Sazdanovic, John Sims, Carlo Sequin and Peter Swedenborg. Rhythm of Structure: The Mathematical Aesthetic, Wilmer Jennings Gallery, NYC, 2004. Featured artists: John Biggers, Brent Collins, Lisa Corinne Davis, Fred Eversley, Terri Foster, Charles Gaines, Simon Gouverneur, James Little, Al Loving, Vandorn Hinannt, Scott Johnson, Joe Overstreet, Howardena Pindell, John Sims, Kevin Sipp, Al Smith, Joyce Wellman and Jack White. 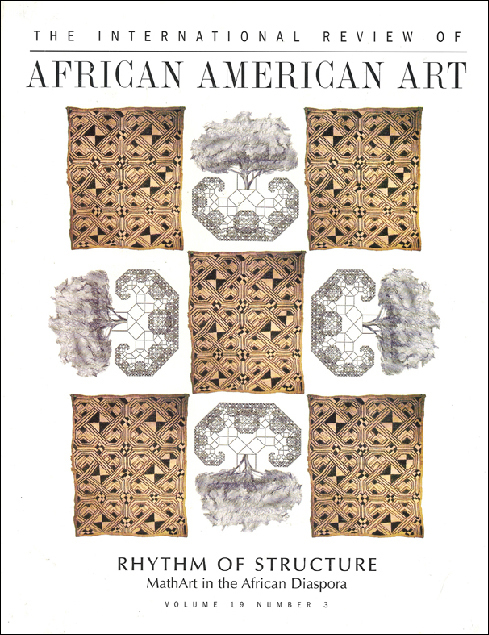 Rhythm of Structure: MathArt in the African Diaspora, International Review of African American Art, 2004. Edited by John Sims and Juliette Harris and featuring contributions by: John Sims, Al Smith, Juliette Harris, Ron Eglash, Brent Collins, Andrea Pollan, Howardena Pindell and Paulus Gerdes. 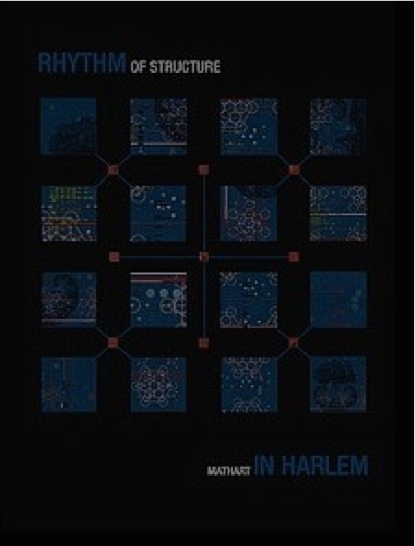 Rhythm of Structure: MathArt in Harlem, Fire Patrol #5, NY, NY, 2003. Featured artists: Audrey Bennet, Brent Collins, Agnes Denes, Helaman Ferguson, Bathsheba Grossman, Ken Hiratsuka, Adrienne Klein, Sol LeWitt, Al Loving, Howardena Pindell, Clifford Singer and John Sims.